We pride ourselves on providing 1st class care to our clients’ horses and are looking to employ a full-time enthusiastic and hardworking groom to join our busy team of grooms at our state-of-the-art hospital. The ideal person will have a proven record of stable management together with excellent horse handling skills. Duties include the care of inpatient horses i.e. mucking out, feeding & grooming, and providing general assistance to vets, nurses and the Clinic Director/Head Nurse as required. Cleaning/infection control is an important part of the job, and you will need to feel comfortable working with clinical and administrative colleagues. This is a physically demanding role in a rural environment - car driver essential. Working hours: 40 hours 08.00-1700 with an hour for lunch. 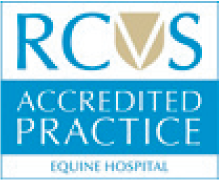 Apply with your CV to the Practice Manager: Tanya.Bricker@sussexequinehospital.co.uk no later than 17:00 on 12th April 2019. A full-time Equine Care Assistant is sought to join our busy nursing team. We are looking for a person who is enthusiastic, hardworking and who takes pride in their work. Duties include the set-up, removal and cleaning of veterinary equipment, cleaning and disinfecting of clinical areas, assisting with lameness work ups, walking and lunging of patients, clipping and prepping legs for tendon scans, and assisting nurses with daily procedures and infection control measures. You will have excellent horse handling skills, team working skills, and an interest in supporting veterinary nurses. It is important to emphasise that many tasks at the hospital may only be performed by qualified nurses and that this is not a nurse training role. Working hours: 40 p/w Monday-Friday 08.30 -17.30 with an hour for lunch.